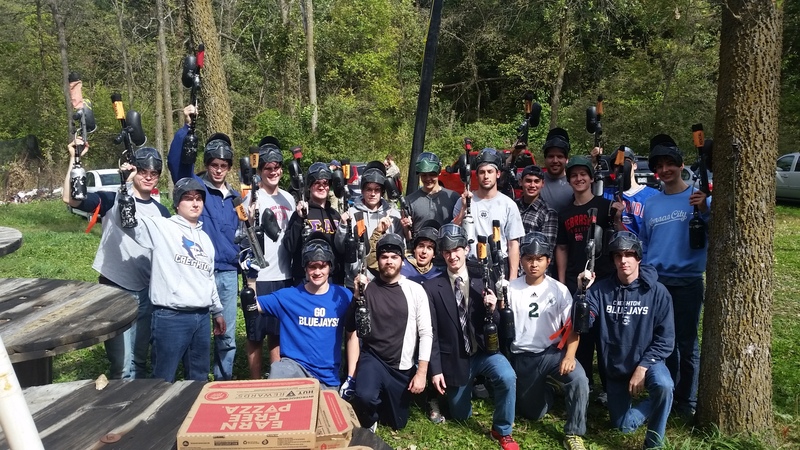 Husker Paintball is the originator of Paintball in the Omaha Area. The paintball field is located 24th and Splitt Dr., 8 miles south of Plattsmouth and approx 40 minutes from Omaha, Nebraska. Players must be 10 years old and up with a parental consent signature. Each person playing paintball at HPA (Husker Paintball Adventures) is required to sign a waiver. Now you can fill out your waiver at home. You can download the current waiver in adobe acrobat (.pdf) format. If you currently do not have Adobe Acrobat reader download the latest version. We are on Facebook! Come check us out! -$15 for all your own equipment & you have to purchase our paintballs. See paint pricing. We have 25+ acres of heavy wooded, 1000+ year old fields. We sell adventure. Husker Paintball Adventures currently has 8 different playing scenarios for the true adventurer to sneak around and surprise their opponents. We can open up the whole property and play 300 vs. 300! We can play 4 fields (groups) simultaneously. We are located off highway 75 and you will turn on to 2+ miles of gravel road to get to us. See map..